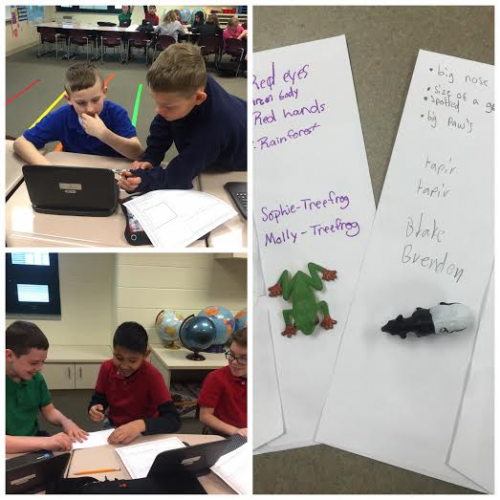 Fourth and fifth grade World Language students at Jeremiah Gray Elementary employed analytical and research-based thinking to solve the problem of an unknown rainforest animal. Each team was given an animal of the Amazon rainforest and instructed to write 3 key details describing the appearance of the animal. They used these details to search the internet in order to discover the correct identity of their creature. The partners wrote their conclusions on the envelope before looking inside to reveal the correct answer. Next, students will complete a research project about their animal.